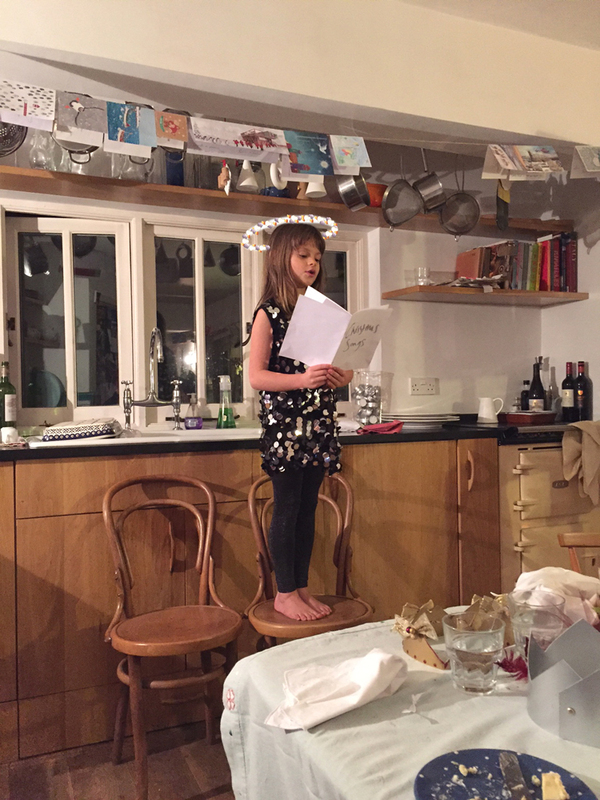 Kitcat singing us all Christmas carols in her sequinned dress made by Jane. It is lined in heavy tricot and the armholes and neck are bound with jersey binding. 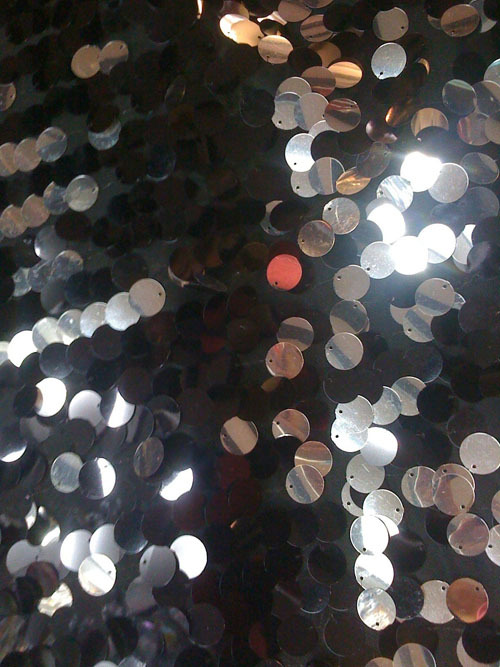 You get fabulous movement with this sequinned fabric as each sequin is black on one side and silver on the other, so every move is exaggerated with the movement of the sequin. They are surprisingly easy to sew -just snip them out of the seam allowance so you don’t need to sew through them.